Buprenorphine falls under a class of drugs known as opiate agonist. Buprenorphine contains chemicals which link up with the opioid receptors present in the brain in order to reduce pain and produce feelings of euphoria. Buprenorphine started off as a pain reliever and was prescribed for several years before being approved for opiate addiction treatment. When buprenorphine is taken as prescribed, it mimics the actions of opiates, albeit at a lesser extent. Pronounced as BYOO-pre-NOR-Feen or bu-pre-nor-feen, buprenorphine is a prescription medication used for treatment of opioid addiction. The drug’s relatively safe profile makes it attractive proposition for treating opioid addicts. Buprenorphine’s major properties include – producing lesser euphoria, relatively low withdrawal profile, decreased cravings for opioids, reducing illicit opioid use, blocking effects of other opioids, and helping patients to stay in treatment. From 1960s to early 2000, the primary treatment option to reduce withdrawal symptoms was methadone. An opiate agonist, Methadone is prescribed for treating opiate withdrawal symptoms. Year 2002 saw advent of buprenorphine, which was the numero-uno narcotic drug approved by FDA under the Drug Addiction Treatment Act for treatment of opioid dependence. More than a million Americans are dependent on heroin in the US, according to the National Alliance of Advocates for Buprenorphine treatment. Buprenorphine is a Schedule III substance, which indicates that the potential for abuse is lower when compared to methadone, which is a Schedule II substance under the Controlled Substances Act. Buprenorphine may be prescribed by any doctor who has received specialized training and certification from the Centre for Substance Abuse Treatment unlike the methadone prescription that has to be prescribed only by doctors registered under the Drug Enforcement Agency. Methadone can only be given at authorized clinics. Buprenorphine is much safer and more readily available and accessible treatment option and is prescribed to work as a moderate substitute for street drugs like heroin, though in reality it is not. Sublingual buprenorphine is ingested by putting the pill under the tongue. The pill gets dissolved within 3-7 minutes and is to be taken only once a day. Buprenorphine forms an integral part of opiate addiction treatment. Buprenorphine therapy clubbed with behavioral modification and counselling helps one remain physically comfortable during the early recovery stages. It also blocks craving for heroin or any other street narcotics, minimizes chances of relapse and helps the addict to gradually reduce dependency on street drugs. Buprenorphine is milder than heroin and since the effects of buprenorphine lasts longer than heroin, it can prevent unpleasant withdrawal symptoms when a person stops taking the latter completely. Being a prescription medication, buprenorphine has to be taken under strict clinical supervision. Following the advice of the prescribing doctor is essential along with timing and the way it has to be administered. Buprenorphine has to be taken exactly the way it has been told by the doctor. The timing of the first dose is vital, as its best to be taken when the levels of heroin and methadone are the low in the body. This may be approximately 8 hours from the last dose of heroin. If methadone has been taken, then it has to be taken at least 24-36 hours after the last dose. If buprenorphine is taken before these said timings, then the withdrawal symptoms could set in suddenly. The effect of buprenorphine may differ from person to person. To begin with, a low dose is prescribed by the doctor to see how it gets adjusted in the patient’s body before going on to a regular maintenance dose. This initial stage is important as a high dose can cause harm and one needs to be patient. A week or more is the time required to adjust to the required dose and to not feel severe withdrawal symptoms. Some addicts feel discomfort during the first few days of quitting heroin and taking buprenorphine, but this period has to be grit through. The most important factor is ensuring the user does not relapse on heroin or methadone while this treatment has begun as this may cause serious illness. The need to increase the dose to prevent symptoms of craving may happen subsequently. Taken on once-a-day basis, the buprenorphine pill is to be used kept under the tongue which dissolves within 3 – 7 minutes and the medicine is absorbed directly into the bloodstream. If swallowed, this pill doesn’t work as well. When placing the pill under the tongue, make sure of the hands are dry and ensure that one doesn’t eat anything till the pill is dissolved. Some addicts feel discomfort during the first few days of quitting heroin and taking buprenorphine, but one has to ensure that he/she does not relapse back nor indulge in taking more of buprenorphine than prescribed. Adequate counseling along with medicine dose is important to ensure the person succeeds in staying off the heroin. Avoid alcohol intake or any other type of street drugs completely. If you drive, be cautious and careful while driving. Never stop taking buprenorphine without the consent of the doctor as they are the ones who can best help and support you on this decision to keep the withdrawal effect at bay, and also when to change dosage (lessened or stopped). If one is traveling he/she must carry the letter and prescription from the doctor due to buprenorphine falling controlled drug category. If one needs an operation or any dental treatment, he/she must mention the use of buprenorphine to their doctor. When taking buprenorphine, users can experience side effects, though not all the users undergo them. Some may develop feeling of sickness or become nauseated, have diarrhoea or constipation, headache, sleep difficulties, anxiety, nervousness, change in heart rate or symptoms of the eye and nose. Users suffering from certain medical conditions should take extra care before taking buprenorphine. Before starting treatment with this medicine, the user is advised to share every minute detail about his medical history with the prescribing doctor. A person who intends to use buprenorphine should take adequate precautions while using it especially if he has liver or kidney ailments; problems with prostate or difficulty in passing urine; breathing difficulties such as asthma or chronic obstructive pulmonary disease (COPD); hypotension (low blood pressure); epilepsy, bile duct problem, is pregnant or breastfeeding; has muscle weakness (myasthenia gravis); head injury; allergic reaction to any medicine; or if one has been taking any other street drugs or medicines. Report all these to your doctor. Keeping the medicine out of reach of children, storing it in a dry place away from direct heat and light, storing it with their original packing and not to remove the medicine before its time to take it are some of the things that has to be kept in mind. 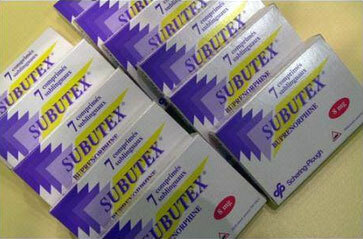 Subutex, a brand name for buprenorphine is a sublingual pill. It is placed under the patient’s tongue and is allowed to dissolve, which helps in the medication getting assimilated into the bloodstream immediately. Taken in prescribed dosage, it doesn’t generate similar euphoric levels, CNS suppression or drowsiness of other street narcotics. It is an as-needed basis pill, and should only be used under the supervision of a certified medical practitioner so as to ensure proper efficacy. Some users abuse Subutex either by crushing and snorting it or injecting it to get the maximum high. Injected intravenously, Subutex can result in suppression of breathing and can cause dizziness, confusion, passing out and even death. 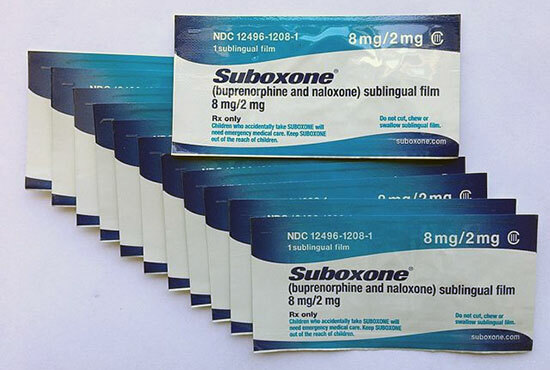 A combination drug of naloxone and buprenorphine, Suboxone is a semi-synthetic opioid. It is typically used for reducing the painful and difficult withdrawal symptoms that are associated with heroin as well as other opiate dependence. Prescribed in tapered doses, Suboxone is specified for maintenance treatment as a part of complete treatment plan that includes counselling and psycho-social support. Subutex or Suboxone is just one part of the rehabilitation and one has to often go through a de-addiction treatment program to not only address the physical aspect of opioid dependency, but also emotional, personal, and social ramifications of their underlying addiction. To put it plainly suboxone is an evolved and improved version of subutex and is designed to treat relapsing addicts who are expected to abuse medications. How? Subutex is plain buprenorphine whereas suboxone has naloxone added in addition to buprenorphine. Naloxone is an efficient opiate agonist that can fill the brain’s opiate receptors and prevent other drugs from activating them. This will prevent and reverse highs. Buprenorphine on the other hand activates opiate receptors. It might seem that they cancel each other, but truth is Naloxone will only come significantly into play if the patient tries to crush the pill and inject intravenously, not so much otherwise. Therefore with Subuxone, doctors are more confident of prescribing suboxone unlike methadone or even subutex.